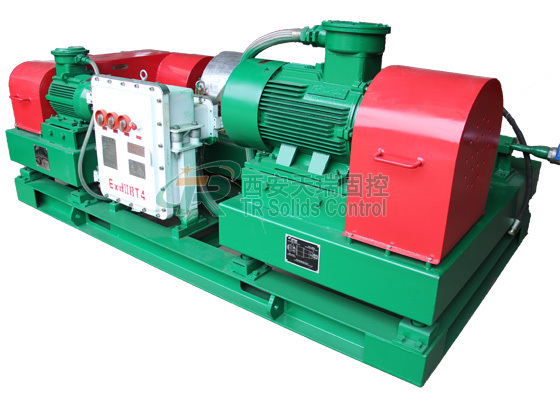 Drilling Mud decanter centrifuge adopts centrifugal force to separate solid particles out of drilling fluid. 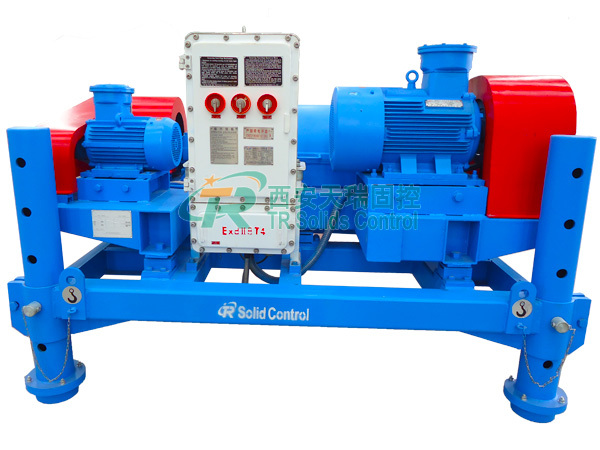 Different solid or particle have different density and flow speed, drilling mud decanter centrifuge also can separate particles as different size and density. Mud Centrifuge is widely used in oil and gas drilling, chemical, foodstuff, pharmacy, mineral beneficiation, water treatment, etc. industries.Waste Decanter Centrifuge used in drilling waste management(DWM). The feed enters the bowl through a stationary inlet tube and is accelerated smoothly by an inlet rotor. The resulting Drilling Mud Centrifuge forces make the solids collect on the wall of the bowl. The conveyor and the bowl rotate in the same direction, but at different speeds, which has the effect of moving the solids towards the conical end of the bowl for removal. Big bowl,large treatment capacity,high G-force is available. Stainless steel（2205） is adopted for main body(collection box included). Spiral propeller is stainless steel material,the welding cemented carbide or ceramic empiecement for the protection of propeller. Replaced cemented carbide ring or ceramic for protecting solids discharge outlet. Three types overload protection:1).Transmission Safety Protection Device. 2).Fluid coupling overload protection 3).Electrical control cabinet current protection. Screw pump or centrifugal pump can be the feed pump for centrifuge so as to meet different requirement. 2205 duplex stainless steel is used in the production of the main body for TR Series decanter centrifuges,this kind material will be better than 316L on the resistant to corrosion. In addition,the protection cover for main body and gear box are all the material of stainless steel. 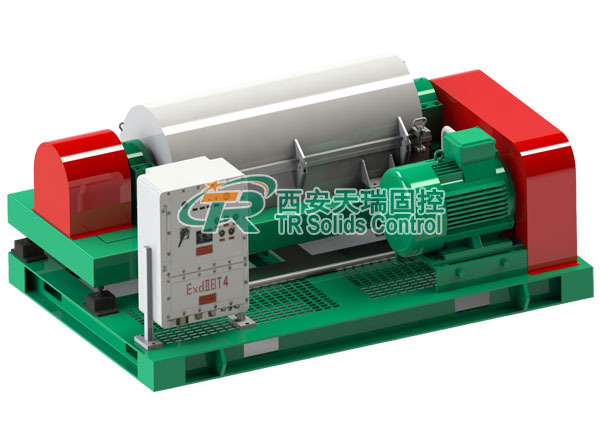 Waste Decanter Centrifuge used in vertical cuttings dryer, remove all the soids in the drilling fluids. 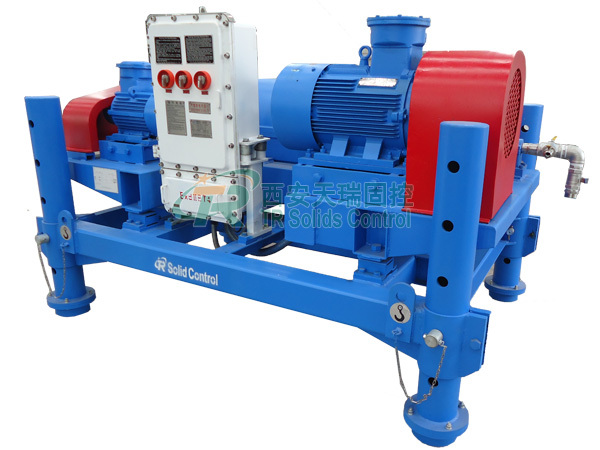 We are an exporter of Drilling Waste Decanter Centrifuge .Our factory approval the API Q1,Waste Decanter Centrifuge have the API certification.TR solids control is the designed,selling,production,service and delivery of China Drilling Fluids Centrifuge manufacturer. We will provide the high quality Mud Dewatering Centrifuge and best service.Your best Drilling Waste Decanter Centrifuge start from TR solids control.